2013 was a very busy year at Redwings Horse Sanctuary, with over 200 neglected horses, ponies and donkeys coming into our care and more than 1,300 rescue cases now in residence at our sanctuary sites around the UK. We couldn’t do any of our work without our incredible supporters who never cease to amaze us with their kindness and generosity – thank you for making all this possible! We hope you enjoy reading our Annual Review 2013. 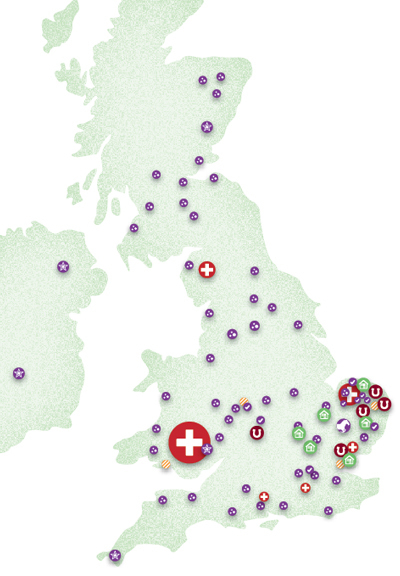 This website contains highlights from 2013’s Annual Review. If you would like more information about what we got up to that year, click here to download any section of the full Review as a PDF. In 2013 we carried out rescues across the country, helped out smaller charities, rehomed horses across Suffolk, Essex, Cambs, Herts, Beds, and attended many events including the Royal Norfolk Show, Aylsham Show, Your Horse Live and Olympia. In 2013, and despite already operating at the very limits of our capacity, we took 210 rescued horses and donkeys into our centres, a rise of over 50 from the previous year. 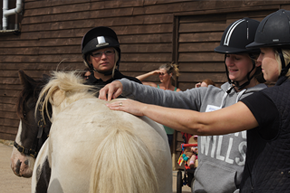 We continued our work with other charities and agencies to provide reduced-fee passporting and microchipping to horses in deprived areas around the UK. In total we helped to passport and microchip over 300 horses in 2013. Eight horses rescued from a field in Hampshire where they were being fly grazed on private land. They were so hungry they had begun breaking out onto a nearby road. 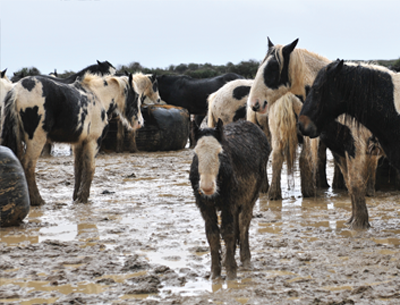 Over fifty horses we found in a terrible state on a farm in Caerphilly. Our Head of Welfare described them as literally ‘queuing to die’ such was their poor condition. All have made a full recovery at Redwings. 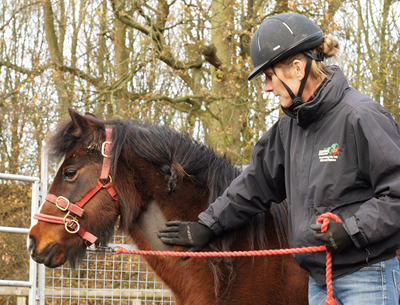 While every rescued horse who comes in to Redwings has to go through some degree of rehabilitation, some of our new arrivals have been through such trauma that they have been left with severe psychological issues or particular behavioural problems that need special attention. At the Sanctuary we have a dedicated team who take the lead on our rehabilitation and equine behaviour work, working with these particularly difficult cases but also leading on how all our staff work with the horses across all our centres to ensure they get consistent training and handling no matter which Redwings site they live at. 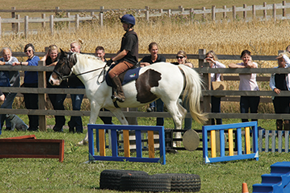 In 2013 we introduced an equine behaviour training session for our new starter staff aimed at instilling our approach from day one, as well as ensuring our people are safe in their work. Seatbelt, a pony rescued from a former rubbish tip in Ireland where she had been living with a seatbelt around her neck. She was terrified of humans when she arrived with us. Norman, who was part of a group of five stallions rescued from Wales in 2011. He was so unbelievably nervous when he first arrived that he needed a general anaesthetic in order for us to be able to carry out any kind of treatment with him. 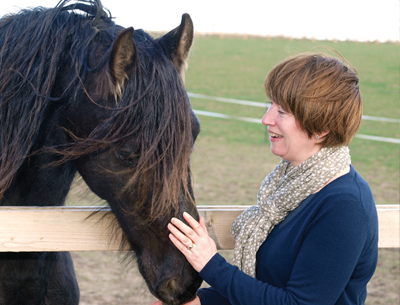 We have purpose-built rehoming centres at our Norfolk (Hapton) and Essex (Ada Cole) sites, where the horses we have rescued that are healthy and of a suitable age can be trained to be ridden and found a suitable foster home. This means that not only can we make more space for the horses out there in desperate need of rescue, and but our rehomed horses can have lots of TLC in a private home – happy endings all round! Stiltskin, who was so wary of people when he arrived with us that he would be aggressive towards anyone who came near him. But he has now realised that humans can be friends! Upsy Daisy, who was originally in a group of nine horses found illegally grazing (‘fly grazing’) on council land. In 2013 she was rehomed to a super lady called Gillian and the pair have even been out visiting a local care home for the elderly at their annual Open Day – Upsy Daisy was pronounced the star of the afternoon! In August we held our first ever Guardian Day to give our Guardians the opportunity to meet together and share their experiences and stories about their Redwings horses, as well as to learn more about the charity and increase their knowledge on a range of topics including equine first aid and geriatric care. 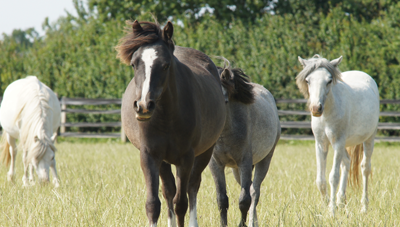 Our resident population has now reached over 1,300 horses, ponies, donkeys and mules. Of these, 20% are aged 15 to 20 (classed as ‘veterans’) and 24% are aged 21 and over (‘geriatrics’). As a home to these veterans and geriatrics, as well special care cases, and horses in need of specialist handling, life is a constant challenge as it is often not until we admit a horse that we are able to establish their true needs. As with our rescue operation from Caerphilly at the start of the year, we never know when there may be a few extra surprises thrown in either! Maverick, a young pony who came down with an extremely rare form of colic and had to have life saving surgery from our vets. Nesbitt, the gorgeous former police horse who even served at the London 2012 Olympics. Woolfie the donkey, who came to us when his owner could no longer care for him properly. On Wednesday 8th May Redwings appeared on an episode of Watchdog Rogue Traders as we assisted with an investigation involving two horses being sold by a dubious dealer under false pretences. Both horses will now have a permanent and safe retirement here at Redwings. A vital part of what we do at Redwings is to promote good horse care wherever possible, to try and prevent welfare issues before they start. 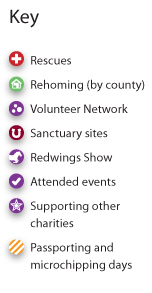 In 2013, we worked with 95 educational groups and schools, either by welcoming them to our visitor centres or by giving talks to them about the work of Redwings and the current welfare crisis in the UK. We also spoke to 14 groups from equine colleges and private practices, and hosted two farriery days and two dentistry days. 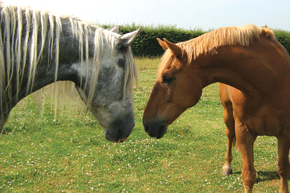 We launched two new education packs during the year, one focusing on laminitis and surrounding health issues, and one all about the contagious disease, strangles. Our dedicated events team also went along to a series of events and shows around the UK, often with two of our special education ponies who were ready to meet and greet the public; all to help spread the word. Following new research that showed that up to 90% of laminitis cases can be attributed to an underlying hormonal disorder, we launched a special pack all about laminitis, Cushing’s disease and equine metabolic syndrome to explain how these conditions interlink and how owners can recognise the symptoms and manage their horses. We also worked with Boehringer Ingelheim on their Talk about Laminitis campaign to help raise awareness of the new research and the seriousness of this condition. Through the recession and as more and more families have been struggling to make ends meet we understand that it has been increasingly difficult for the public to donate money to charity. But at Redwings not only have we still seen steady support in terms of funds from our amazingly loyal supporters, we have also seen an incredible reaction in terms of people finding other ways to help us. From recycling old mobile phones, to donating unwanted items of all kinds for us to sell, to jumping out of planes and even doing something as simple as clicking ‘Like’ on a social media page – every tiny bit really does make a difference. In 2013 our wonderful supporters did continue to give despite the economic situation and our overall income from donations increased to £3,695k (2012: £2,278k) this year, although there were some notable exceptional donations, which we believe will not be repeated next year. Legacy income decreased to £5,296k (2012: £6,438k). Our total income in 2013 was £10,415k (£133k higher than 2012). Coverage of our large-scale Caerphilly rescue produced a lot of interest and helped generate nearly £50,000 in donations from both existing as well as new supporters. Find out more about how our wonderful fundraisers and how we use our resources by creating your own PDF. In April we held an official opening for our brand new visitor centre in Aylsham, North Norfolk. 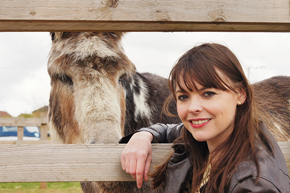 We were very privileged to have Coronation Street star Kate Ford with us to officially open the centre, and over 1000 people came along to support the event, held on a beautiful sunny Spring day. This new visitor centre is set in the heart of the beautiful North Norfolk countryside and will have a dedicated education facility as well as its lovely visitor centre that looks out over fields of our resident horses. Our income and expenditure in 2013.